Greetings from Independent Colleges of Indiana! Private College Week will be here before we know it! This year, students and families are invited to visit any of Indiana's private, non-profit colleges and universities during Private College Week 2017. This year's dates are July 17-21, and several campuses are adding a new element to this already great week: 21st Century Scholars Day! Details for Private College Week and 21st Century Scholars Day are still being finalized, but keep an eye out for more information in the coming weeks. Let your students know to mark their calendars! 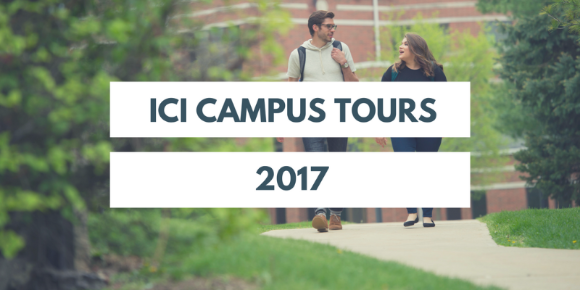 We have a few open seats on the bus for this summer's ICI Campus Tours, June 12-14. If you are available for and interested in the tour, please register here. We will take registrants on a first-come, first-served basis until we are full. For a little more information on the tour, click here. Please feel free to let me know if you have any questions or comments. Copyright © 2017 Independent Colleges of Indiana, All rights reserved.